Switch has become the first carrier-neutral data center provider in the world to receive two Uptime Institute Tier IV Gold Certifications for its SUPERNAP data centers. SUPERNAP 9, a 471,248-square-foot data facility that opened in August 2015, is the second Switch data center to earn a Tier IV Gold Certification. SUPERNAP 9 follows SUPERNAP 8, which made data center history in August 2014 when it became the first carrier-neutral colocation data center to ever receive a Tier IV Gold Certification. The Uptime Institute has awarded 689 certifications to data centers around the world, but only eight facilities have achieved Tier IV Gold status. Switch holds the highest score of all time for a Tier IV rated data center and has garnered a quarter of all data center awards within the Tier IV Gold category. Achieving Tier IV certification is a feat accomplished by only the top 100th of one percent of all data centers globally. Switch is the only carrier-neutral data center provider to have ever attained the certification. Switch Executive Vice President of Strategy Adam Kramer acknowledged how many of Switch CEO and Founder Rob Roy’s advanced data center ecosystem innovations are not included in the evaluation process of most certification organization’s categories. “One of the most interesting aspects of advanced certification in relation to my position with Switch is seeing how many of Rob Roy’s patented designs, like Switch Shield, a redundant data center roofing system offering two independent individually rated 200-mph steel roof decks, as well as numerous secure maintenance programs and advanced carrier resiliency designs are not yet part of any data center class certifications including the Uptime Institute,” shared Kramer. Building on its unprecedented achievement, Switch is continuing to pioneer the data center industry’s highest standards around the world by replicating its SUPERNAP data centers in Reno, Nevada, Grand Rapids, Michigan, Milan, Italy, and Chonburi Province, Thailand. 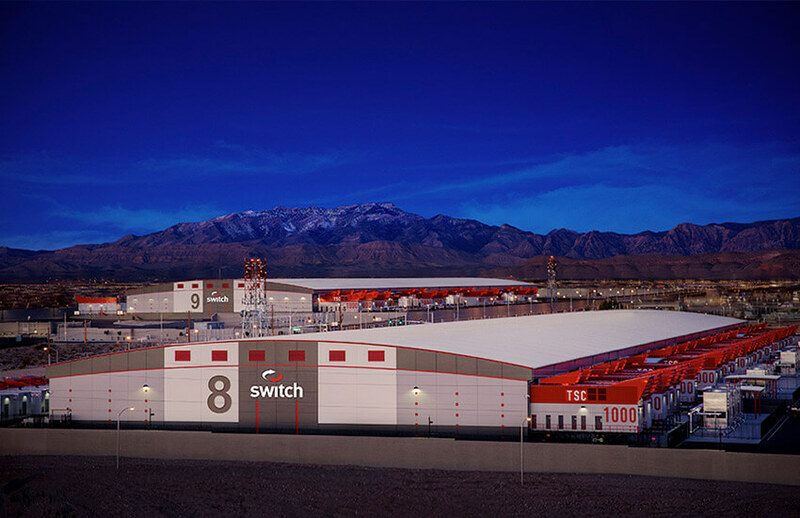 Later this year Switch will open its SUPERNAP Tahoe Reno Campus located just outside of Reno, Nevada. Upon completion, it will be the largest data center campus in the world, consisting of 6.4 million-square-feet. The first data center, SUPERNAP Tahoe Reno 1, will be 1.2 million- square-feet, deliver 82,000 tons of cooling and have more than 150-megawatts of capacity, making it the single largest data center in the world. Switch is also bringing Rob Roy’s world class patented data center designs to the eastern United States in Grand Rapids, Michigan, where the company is developing the largest data center environment in the eastern United States with more than 2 million-square-feet of space. Switch is meeting the challenge of replicating its data centers globally with the extension of Switch SUPERNAP into Europe and Asia Pacific. The Uptime Institute is an advisory organization that focuses on improving performance, efficiency and reliability of business critical infrastructure through innovation, collaboration and certifications. Tier IV Gold Certifications are a rigorous set of standards that utilize proprietary methodology in combination with the world’s largest repository of data center research to identify operational efficiency and excellence.